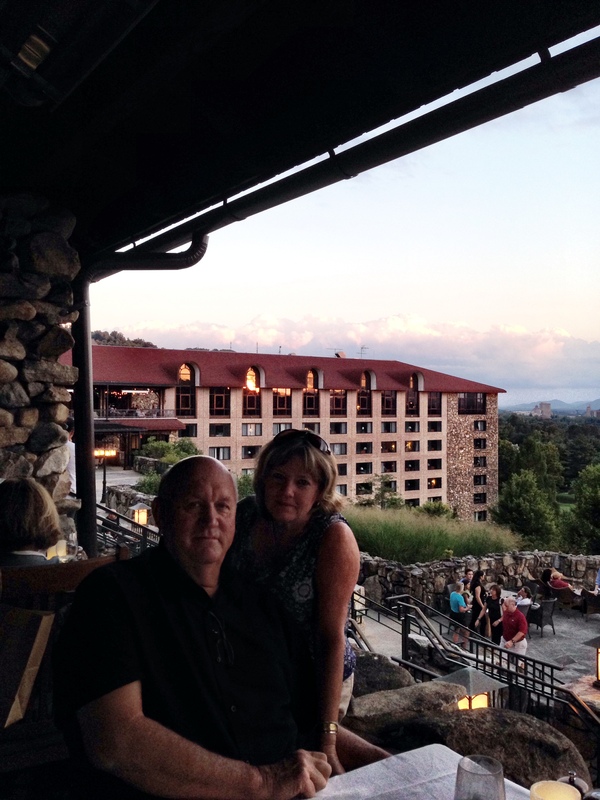 Our second night at The Grove Park Inn we dined on the Sunset Terrace. As we looked at the mountains, clouds, and downtown Asheville in the distance, I thought this called for a photo “shot through glass”! Categories: 52 week photo challenge, North Carolina, Travel, Vacation | Tags: "Once a year, Asheville, Blue Ridge Mountains, Dalai Lama quote, go somewhere you've never been before." 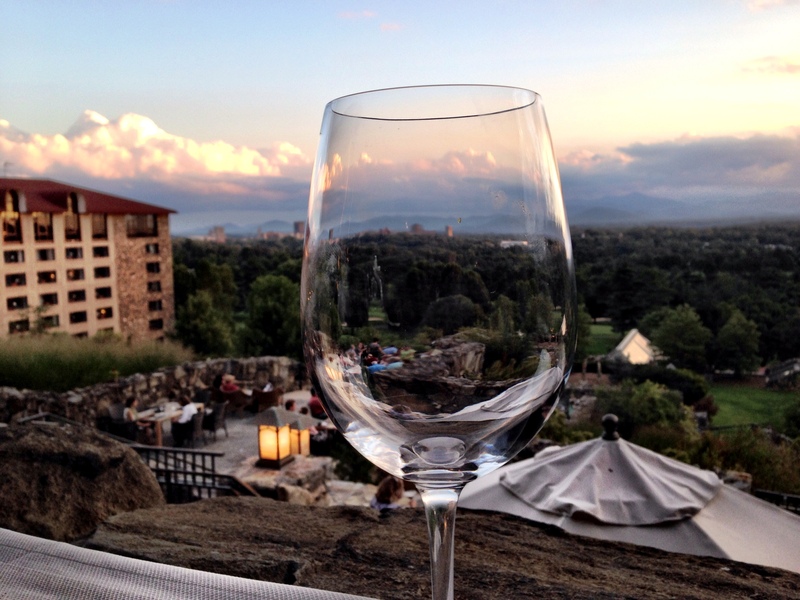 quote, Grove Park Inn, NC, wine glass | Permalink. Our first night in Asheville, good friends invited us to go to the Pisgah Inn Restaurant, which is located at the peak of the Blue Ridge Parkway in Waynesville, NC. 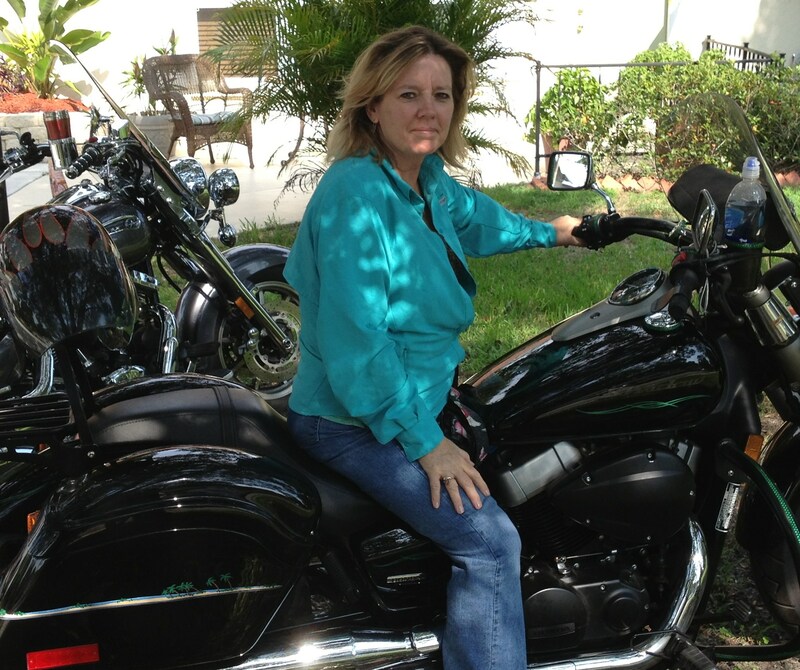 Since they picked us up, we were able to sit back and enjoy the 30 mile drive. There were many scenic overlooks along the way and we went through a number of tunnels. We reached the restaurant at mile marker 408.8 on the Parkway. As we walked into the rustic restaurant, we wondered how we had overlooked this place in our past travels. A sign boasting that we were going to “Dine at 5,000 Feet Elevation” greeted us. The restaurant has large tall windows on three sides that overlook the mountains and valleys of the Pisgah range. What an amazing view! After a hearty meal of mountain trout, meatloaf, and chicken pot pie, we walked out to the railing to take some pictures of the spectacular view. 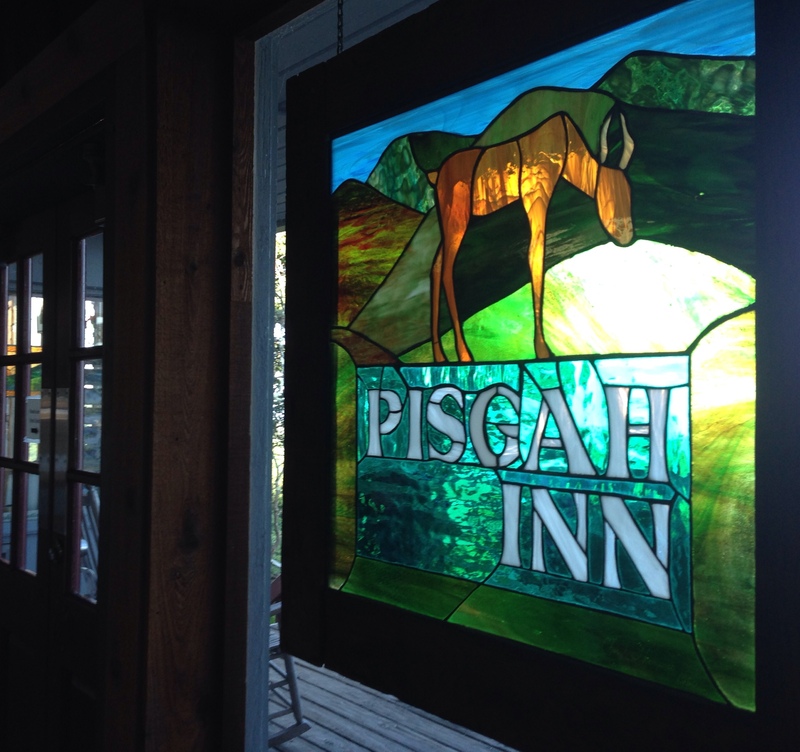 Thank you to our friends for introducing us to the Pisgah Inn Restaurant! This visit will not be our last! 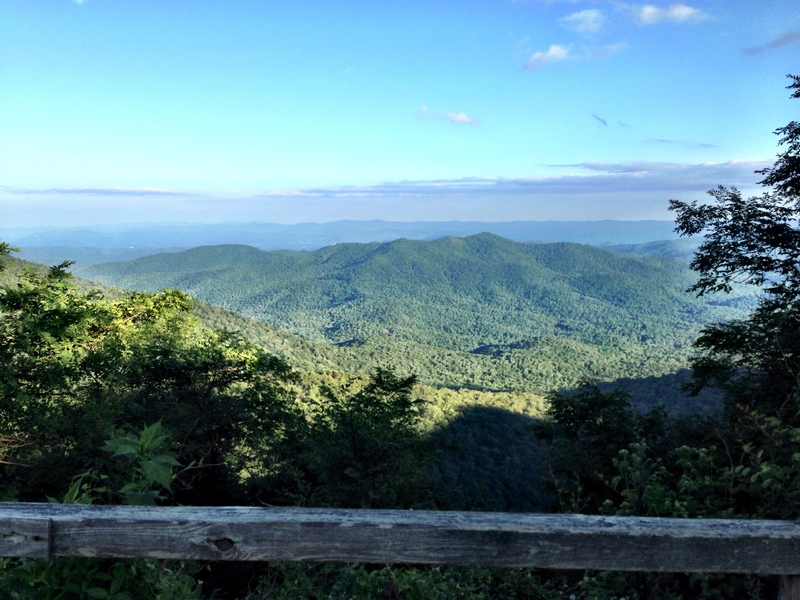 Categories: 52 week photo challenge, North Carolina, Travel, Vacation | Tags: "The mountains are calling and I must go. ", Blue Ridge Parkway mountains, John Muir quote, North Carolina, Pisgah Inn Restaurant, Waynesville NC | Permalink.